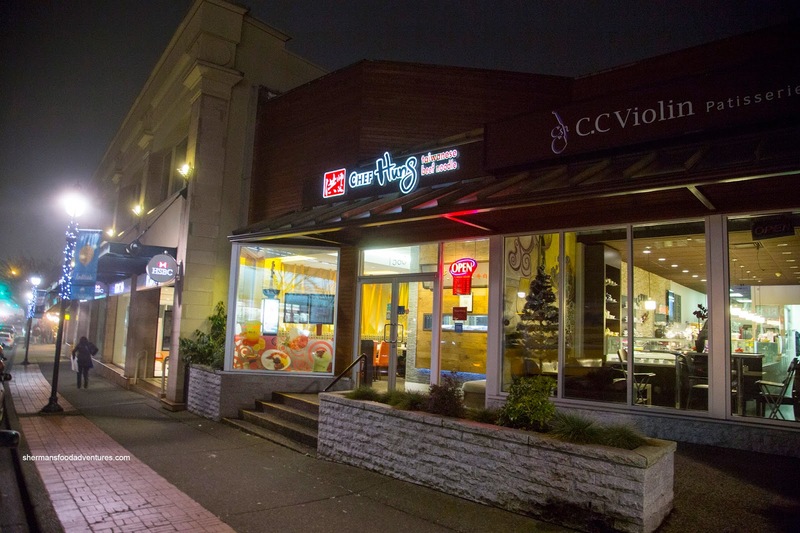 Continuing on with my search for the best Beef Pancake Roll, it brought Viv and I to Chef Hung out in West Van. Actually, we were already in West Van and were in search for eats. So to kill 3 birds with one stone (yes, 3 birds), we could eat, I could try a beef pancake roll and do a blog post. Talk about efficiency! It's like losing your parking spot, place in line and temper in Richmond! Wait... Anyways, we settled for a low-key dinner on a weekday in sleepy West Van. 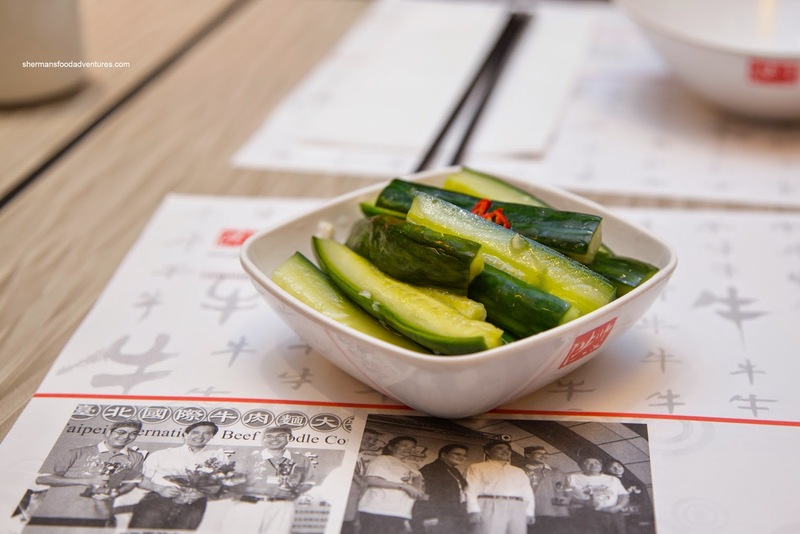 We started with the Marinated Cucumbers which were crunchy and vibrant. There was a good balance of acidity with sweetness where each bite started off tart, then sweet and ended off tart. There was also a significant sharp garlic hit that was appetizing. Next, the Chicken Nuggets arrived in surprisingly large chunks. Therefore, each piece retained their juices. In turn, the meat was succulent due to being cooked just enough. With minimal skin, the exterior was still crispy and light. Although adequately seasoned, I would've liked to see more pepper. 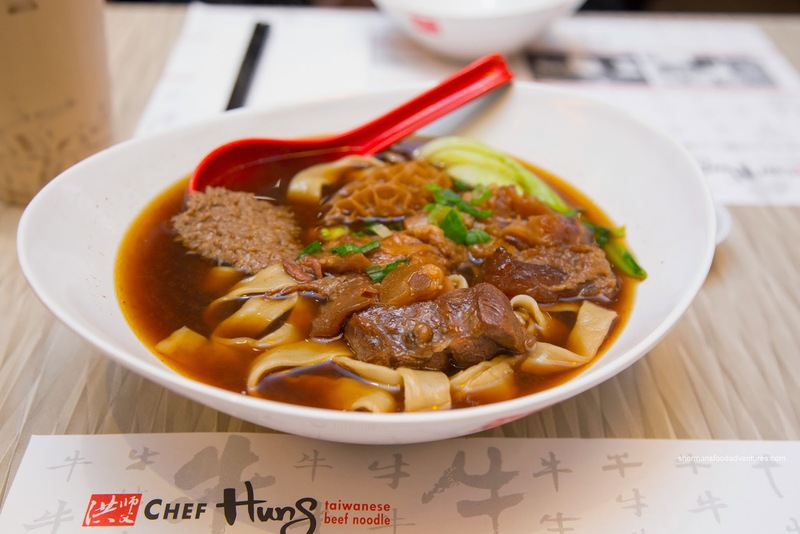 As for the noodles, we ended up with the Award Winning Beef, Tendon and Tripe with flat noodles. Strangely, there was 2 pieces of each meat except for the beef. Too bad since the beef was the best part as it was firm to the touch from our chopstick, yet moist with each bite. 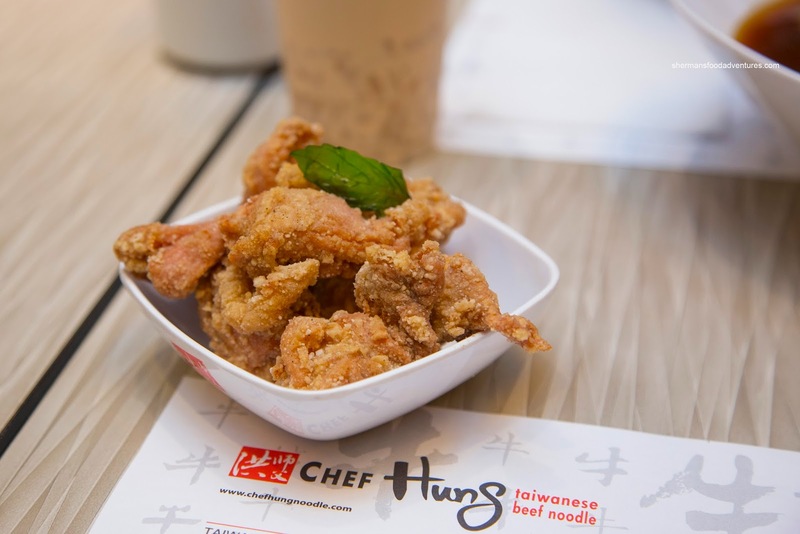 The tendon and tripe were a bit too soft in our opinion as they merely melted in our mouths. Toothsome and appealingly chewy, the flat noodles were on point. We found the soup to be rather light, but clean. It had sufficient impact, but nothing particularly strong. 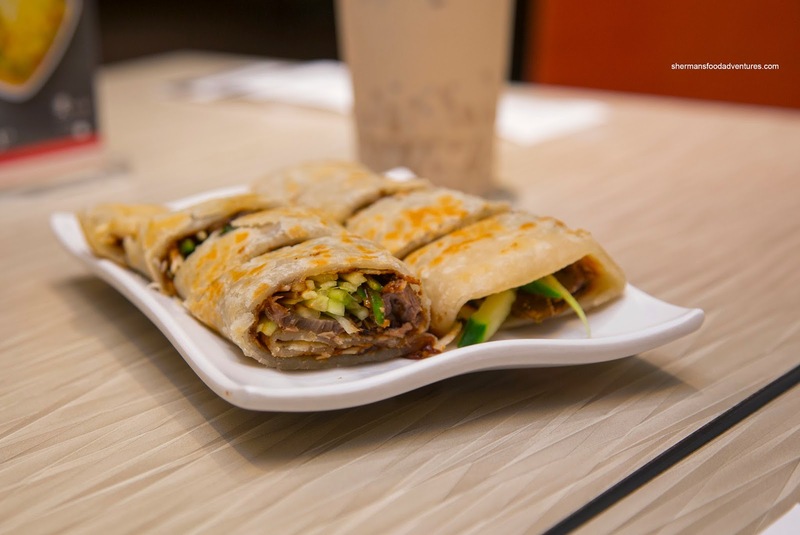 Arriving in 8 pieces, the Beef Pancake Roll was pretty decent. Crispy and only a touch flaky, the pancake was a bit dense and doughy on the inside. Plentiful and moist, the beef retained a slight chew and was accented nicely by the crunchy cucumbers and scallions. The concentrated hoisin was quite powerful despite being modest in application. 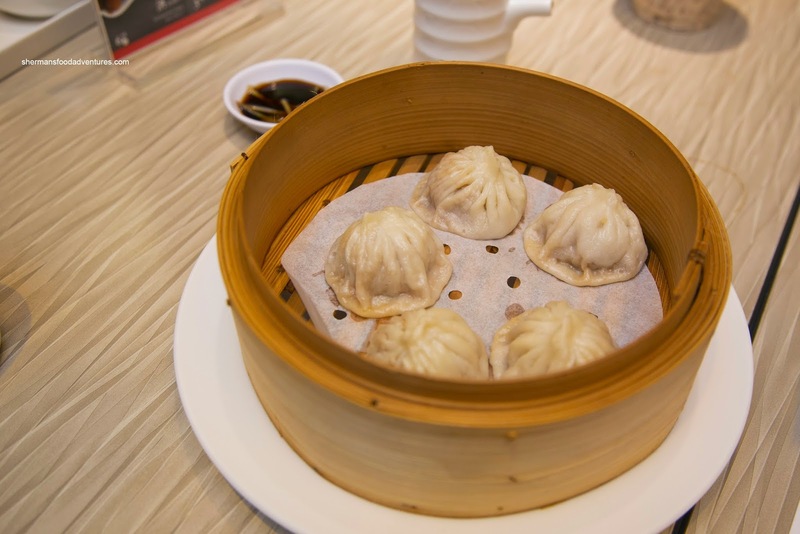 Taking somewhat of a chance, we had the Xiao Long Bao. For a non-Shanghainese joint, these were okay with a relatively thin dumpling skin except for the twirl on the top. Inside, there was no soup to be found, but the meat was moist and gingery (where there was an absence of shaoxing wine essence). 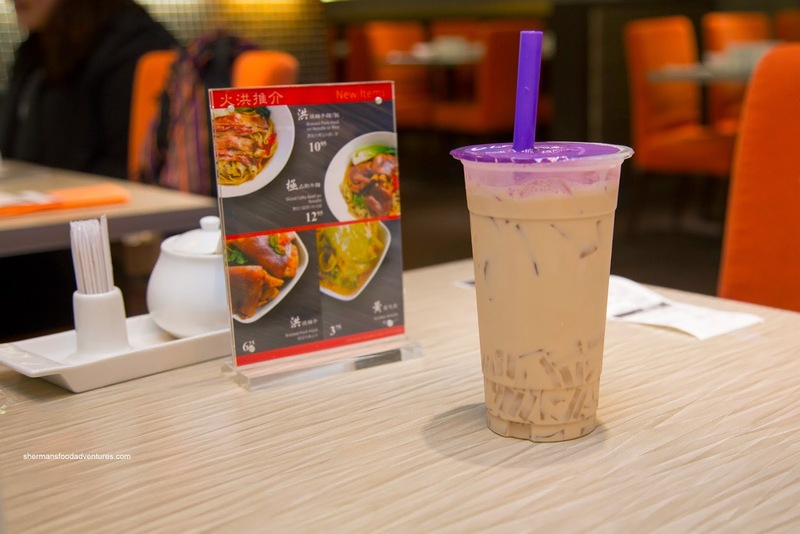 Viv also added a Bubble Milk Tea with coconut jelly as her beverage. The tea itself was rather mild and indeed milky. It wasn't too sweet, but the coconut jelly put it over the edge where it ultimately was pretty sugary. Thinking back to my original visit to Chef Hung's Richmond location, I feel that the meal in West Van was more consistent. Could it be purely on location or have they straightened things out? Whatever the case, it did the job without much incident.